Discussion in 'Introductions' started by MichaelisEvolving, Jan 3, 2019. Hi everyone, I’m new here and thought I’d say hi. 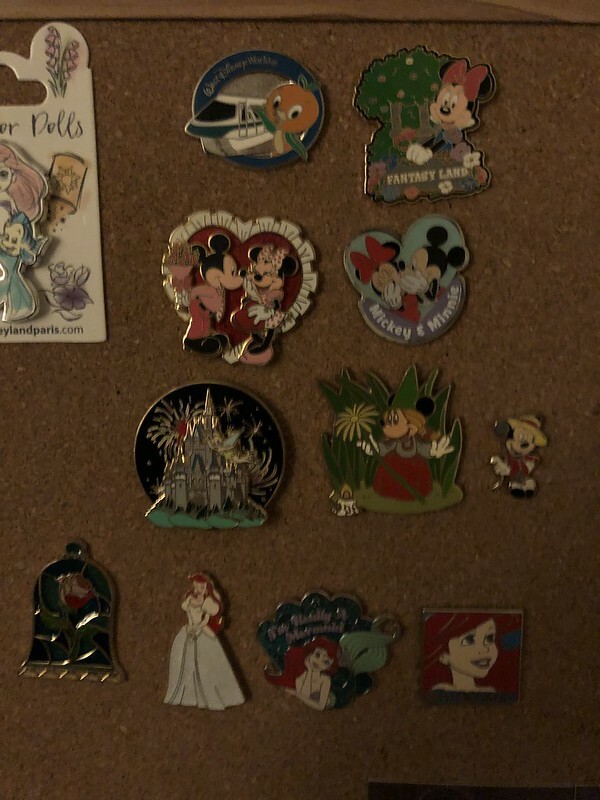 My wife and I live in Florida about 1 1/2 hours from Disney and we’re semi new to pin trading. Been doing it for only about a year. Nice to join this community. slbrabham and Kerri780 like this. Hello and welcome! What do you both collect? Hi fren! So you North or South of the Mouse? I’m down in Miami, so on a good run I can get to WDW in 3 hours, usually 3.5 though with stops, 2-2.5 hours if I opened it up and didn’t have to worry about the pesky FHP officers. Hi everyone! 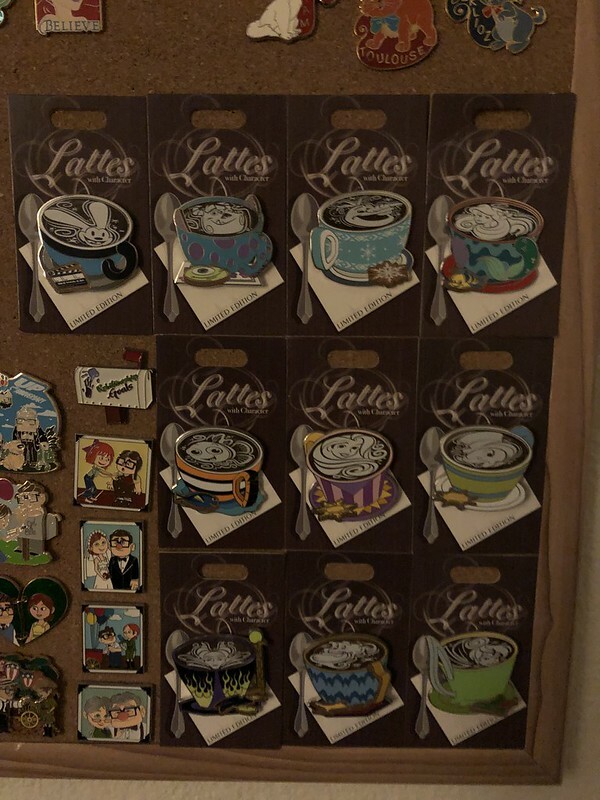 My wife and I collect Up and Wall-e as our main ones, but she also collects some aristocats and I collect Stitch. 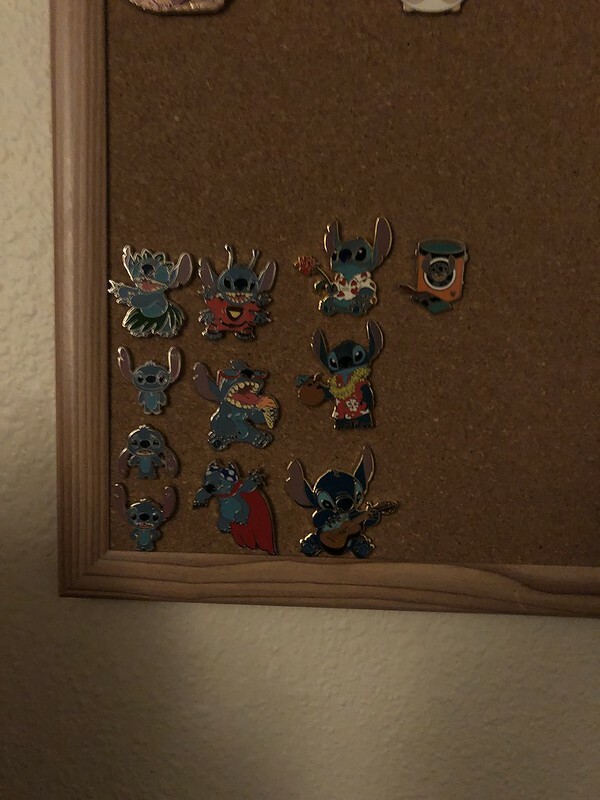 I don’t actually collect all the stitch ones just ones I really like. 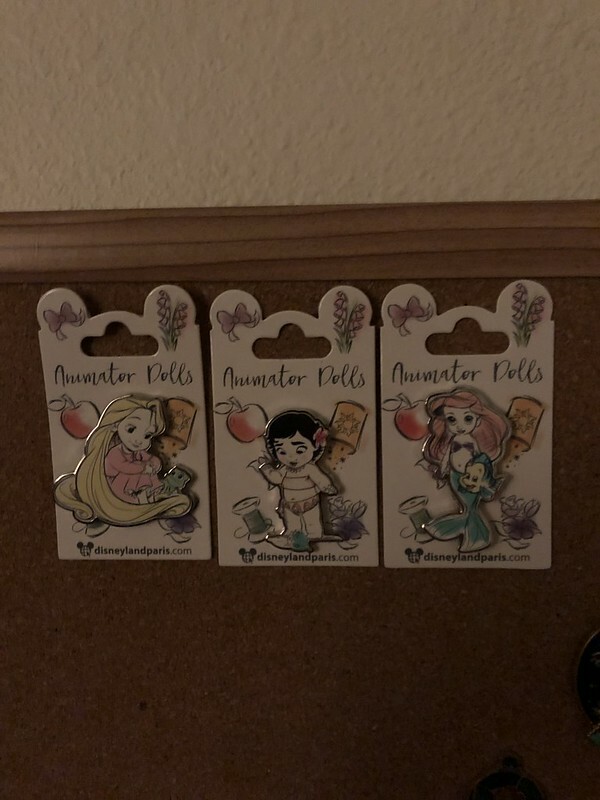 My wife also collects Ariel ones too. 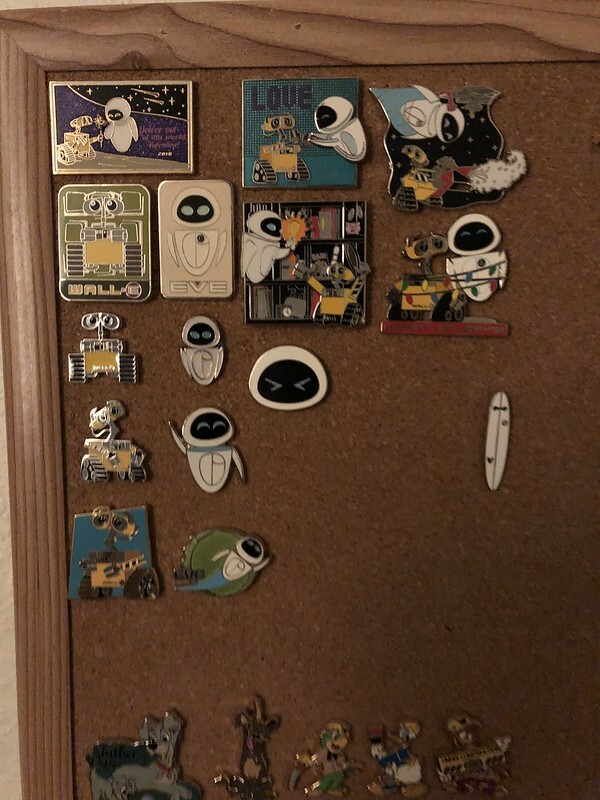 I’ll have to post a picture of our board sometime! We’re newer at this and try not to get in over our heads! Haha hard I know. We live an 1 1/2 south west. On the coast. Hey welcome to the forum! Awesome choice of characters to collect! 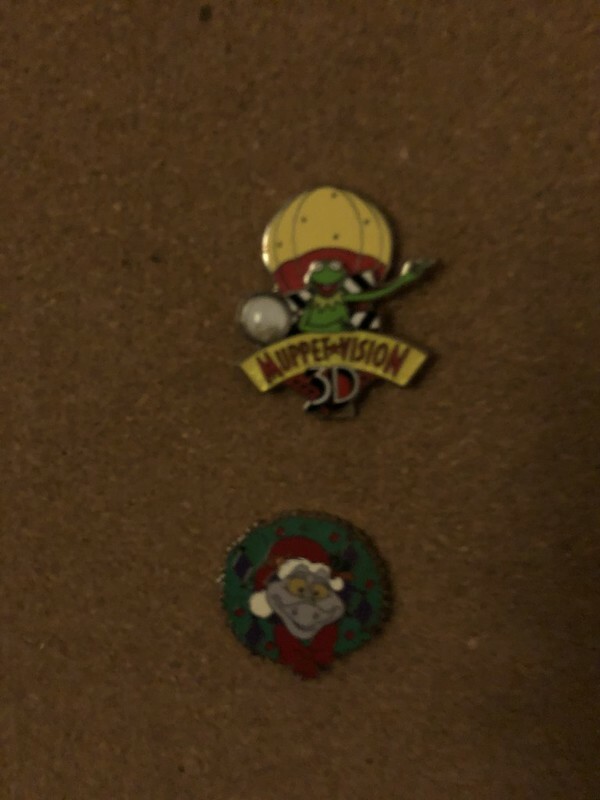 Those are some great characters with numerous pins. Stitch and Marie are such cute characters. It should be a great time for Up collectors as the 10th anniversary is this year. Welcome. 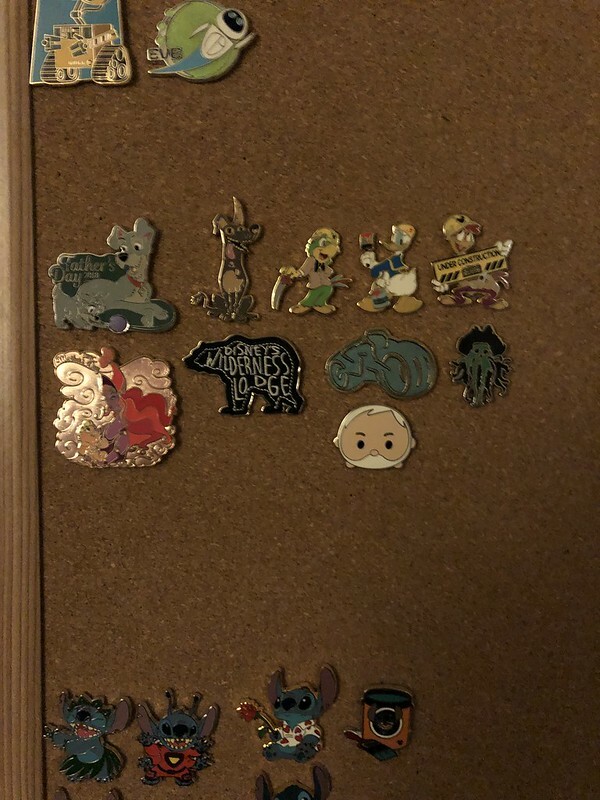 Not the greatest pictures but shows off some of our favorites and there are a few on there that we are willing to trade. Great collection! Welcome welcome! 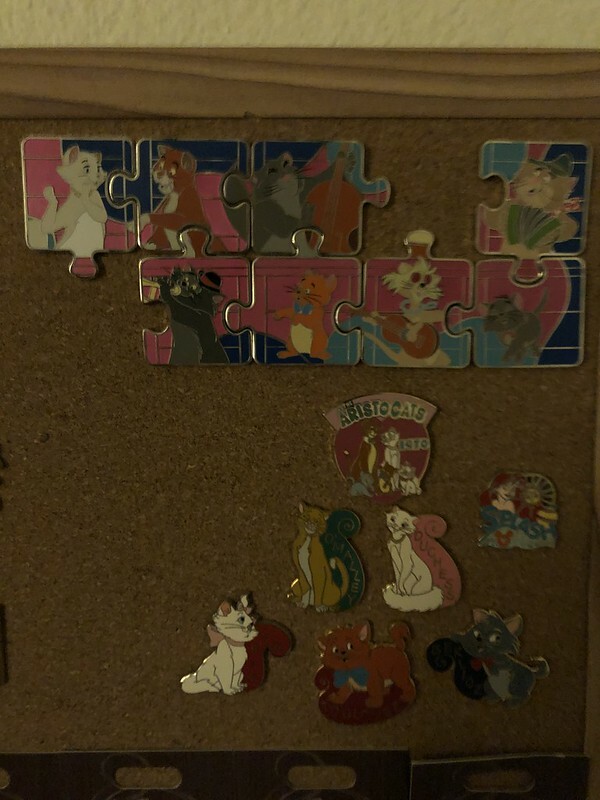 There is a puzzle thread to help finish your aristocrats puzzle. 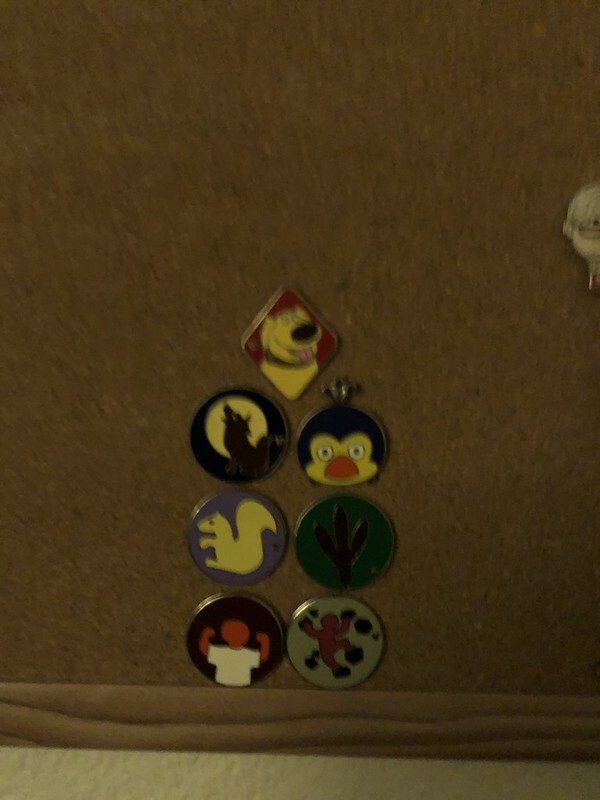 I think they're great pins! Also I have a different variant to that eve emoji, after I get paid (wasted too much money this month!) I would be happy to send it to you! It doesn't find my collections and I've tried to trade it off a few times with no success so it's just being wasted currently. Welcome! 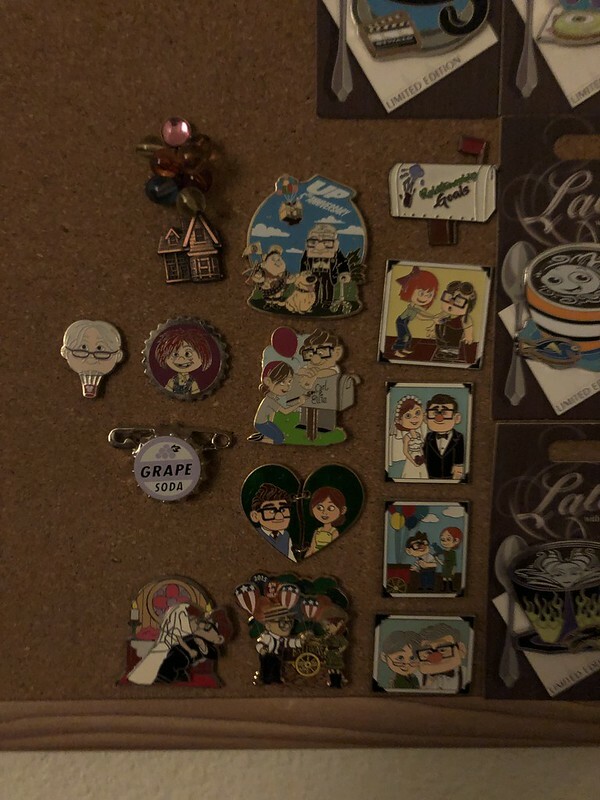 Thanks for sharing your collections, I think you're off to a wonderful start!